Help them get the benefits they deserve. As our brave men and women return from war with life altering injuries, we need your help to get them the benefits they have earned. 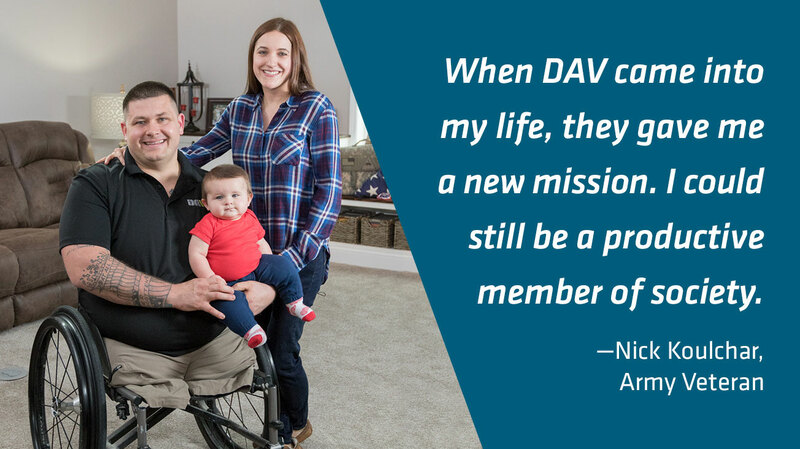 Your gift helps us give these heroic men and women the services they need as they transition home from war. Your gift today will help provide veterans the support they need and deserve after sacrificing so much for our freedom.